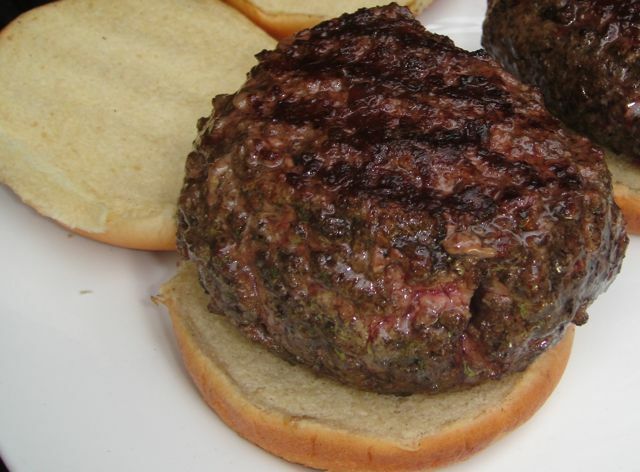 Burger grilling – The burger meat is so fatty that I suggest you pan fry them instead of grilling to prevent flare-ups. 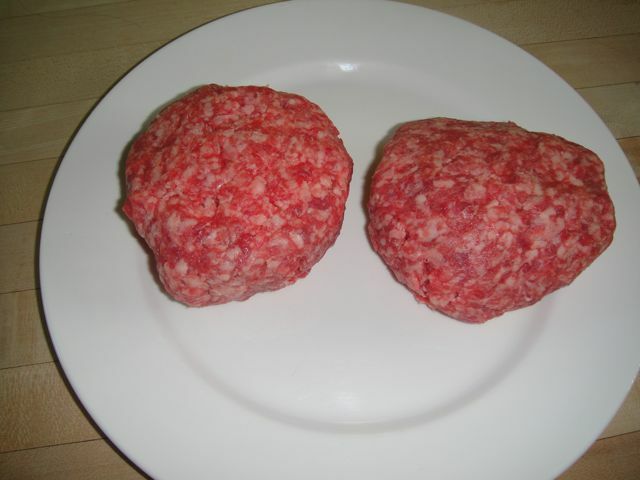 Finished Burger – before condiments are added. “Dress” according to your preference. 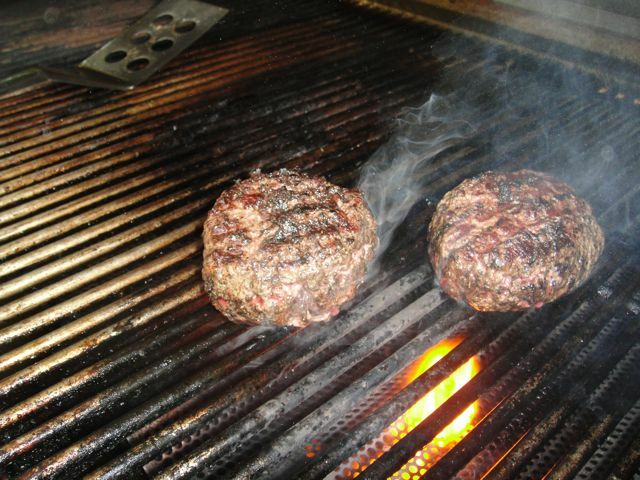 We just used mustard and tomato as we didn’t want to obscure the meat. Brush a baking sheet well with some of the oil. (The potatoes have a tendency to stick). 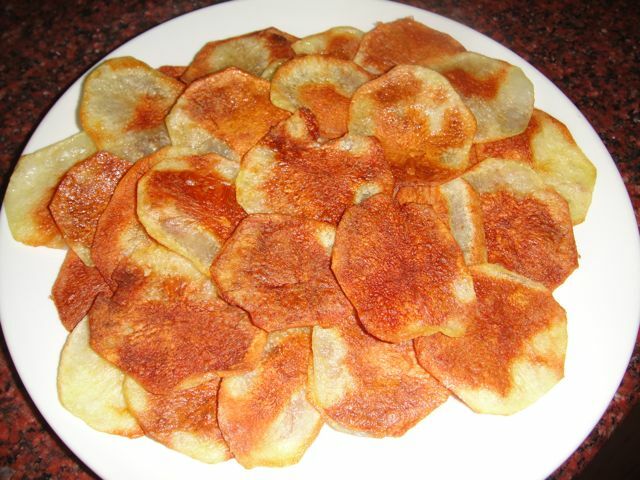 In a food processor fitted with 2mm slicing disk or hand-held slicing disk, slice thin the potato on the diagonal (cut one end of the potato on the diagonal to facilitate this) and arrange the slices immediately in one layer on the sheet. Brush the slices with a little more oil, sprinkle them with salt to taste, and bake them in the middle of a preheated 400 oven for 12 to 15 minutes, turning once, or until they are golden brown. Transfer the crisps while they are still warm with a metal spatula to a rack and let them cool.